Metabolic disorders comprise a large group of heterogeneous diseases ranging from very prevalent diseases such as diabetes mellitus to rare genetic disorders like Canavan Disease. Whether either of these diseases is amendable by gene therapy depends to a large degree on the knowledge of their pathomechanism, availability of the therapeutic gene, vector selection, and availability of suitable animal models. 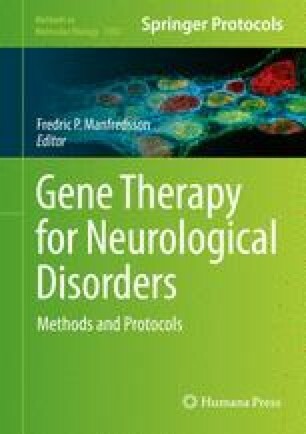 In this book chapter, we review three metabolic disorders of the central nervous system (CNS; Canavan Disease, Niemann–Pick disease and Phenylketonuria) to give examples for primary and secondary metabolic disorders of the brain and the attempts that have been made to use adeno-associated virus (AAV) based gene therapy for treatment. Finally, we highlight commonalities and obstacles in the development of gene therapy for metabolic disorders of the CNS exemplified by those three diseases.